Welcome to Mister Doodle’s world—it’s different as can be. Come along and help explore his world from A to Z. 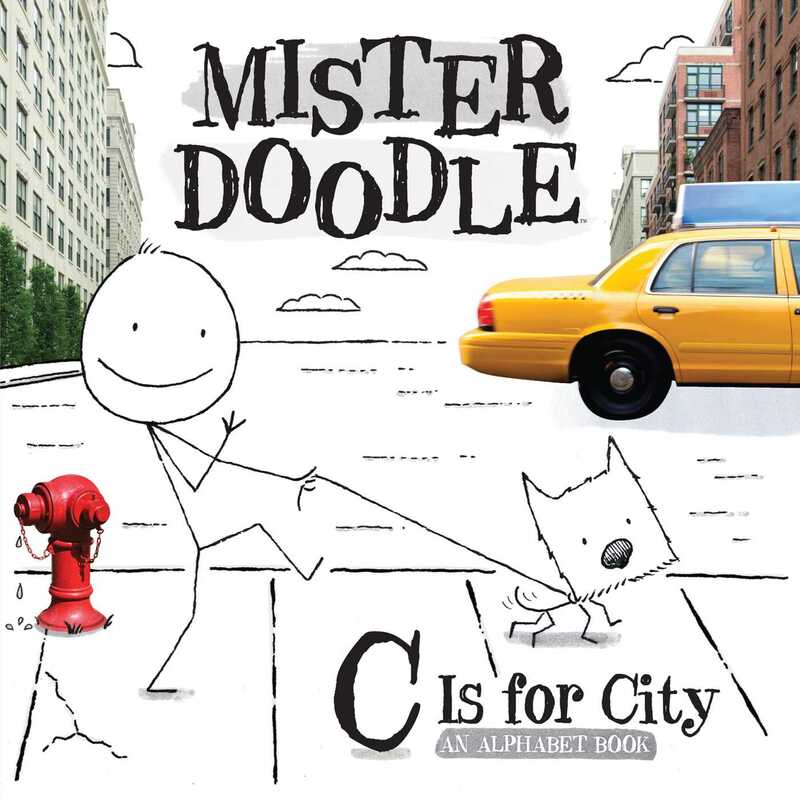 In C Is for City, we meet Mister Doodle—a stick figure who lives somewhere in between the real world and a child’s imagination. He’s smart and sophisticated with a hint of goofiness—a winning combination that allows him to teach the ABC’s while entertaining! C Is for City introduces toddlers to a unique art style—a mixture of black line art and photography—never before seen in board books. The black ink drawings are simple and clean. The photographs are colorful, and chosen strategically to highlight each letter being taught. The Mister Doodle books also have a “hidden” layer of educational content for hours of fun learning! On each page of C Is for City, toddlers will learn multiple words that start with that particular letter—not just the one word mentioned in the text. For example, they will discover that not only is C for “City,” but C is for “car” or “cab” as well. The entertainment and educational value of this alphabet book far surpasses one read! Orli Zuravicky has written and edited over a hundred children's books for kids of all ages. A graduate of Barnard College, Orli lives, works, and writes in New York City. Giuseppe Castellano, an Illustration graduate from the Rhode Island School of Design, spends his days designing children's books. Thanks to Mister Doodle and his cute Westie Terrier "Sketch," he now spends his nights illustrating them. He lives in Brooklyn with his wife, son, and twin daughters. Mister Doodle's adventures unfold in bouncy, playful rhymes: "D is for Dump Truck./ E is for Envelope./ F is for Food like French Toast or cantaloupe." A great little introduction to the alphabet, this lively outing, first in a planned series, should inspire kids to notice details. Bonus points for an excellent X entry: the xiphias, aka swordfish, "with its long bill like steel!" Ages 2–5.